Varun Dhawan and girlfriend Natasha Dalal touched down in Mumbai on Monday night. 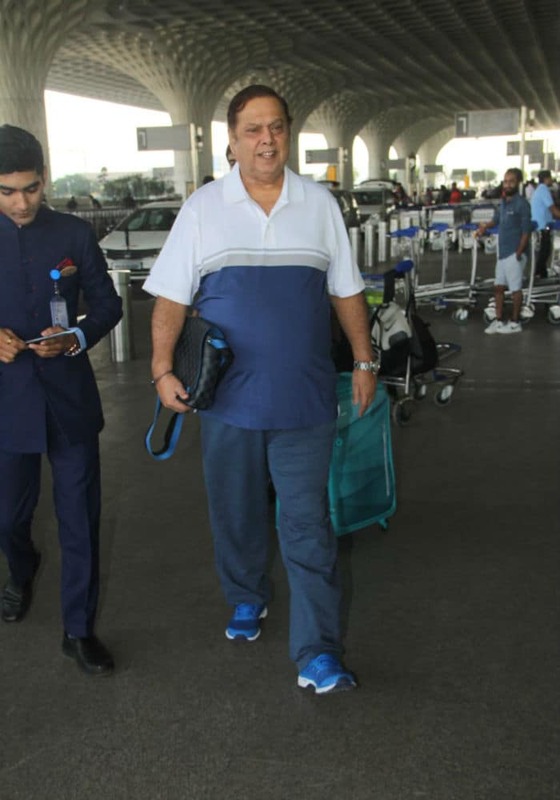 The couple were spotted flying out of Maximum City over the weekend along with the actor's father David Dhawan. Soon after, Varun and David Dhawan were spotted attending the International Film Festival of India in Goa. 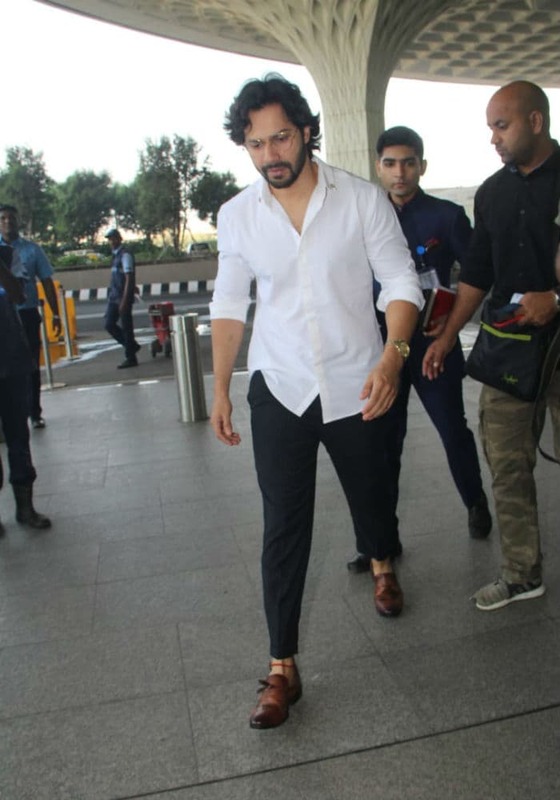 On Monday evening, Varun Dhawan, who remained busy on his phone, helped Natasha navigate the airport amidst the flocking paparazzi. 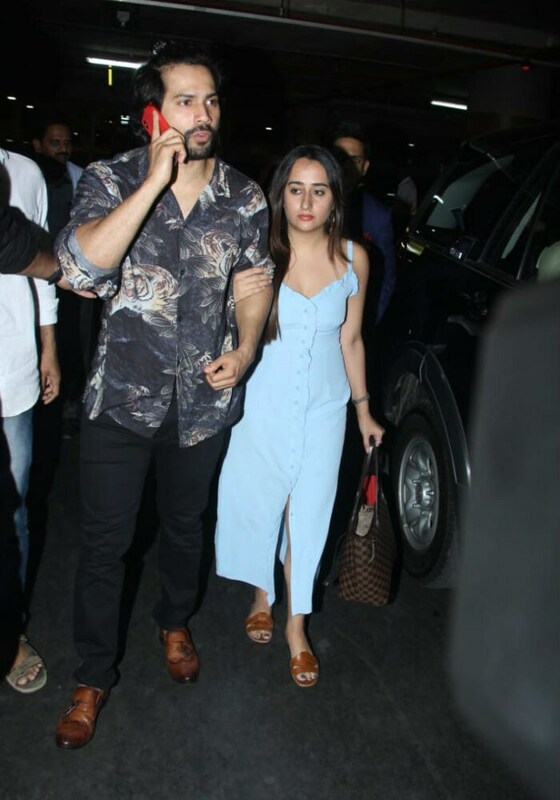 Natasha Dalal, who is a designer, dressed simply in a powder blue outfit while Varun kept it cool and casual in a printed shirt and pants. Varun Dhawan and Natasha Dalal quickly made their way to the car after checking out of the airport. On Saturday, Varun Dhawan was photographed at the Mumbai airport along with his filmmaker father and Natasha Dalal. Varun confirmed he's dating Natasha Dalal on a recent episode of Koffee With Karan, when he also said nothing is planned yet but a possible wedding is on the cards. "I am dating her and we are a couple," he had told Karan Johar and added: "I plan to marry her." Karan Johar, who launched Varun in Bollywood with 2012's Student Of The Year, said seeing Varun getting married would be an emotional moment for him: "I will feel that I'm giving my son away." Koffee With Karan was the first time that Varun Dhawan confirmed his relationship status on a television show. Earlier, he appeared to introduce Natasha as his beau on social media several times but not in as many words. Varun dropped major hints with social media posts such as the one he shared on Diwali. On the work front, Varun Dhawan is currently busy with the shoot of Kalank. He has also apparently signed a film with Katrina Kaif.